Bali is undoubtedly the most popular travel destinations in Indonesia – with cheap flights, epic beaches, world class surf and heaps of activities and places to explore. 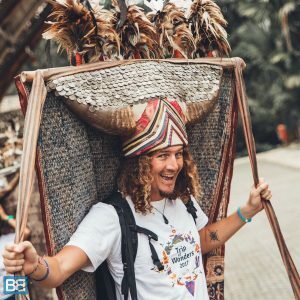 And I’m happy to admit then when it comes to travelling around Indonesia I’m totally guilty of getting stuck in Bali and not really exploring any other of the places to visit in Indonesia! But Indonesia is made up of around 17,000 islands and there is so much more to see and do outside of Bali – with heaps of amazing cultures to explore and activities to add to your bucket list. 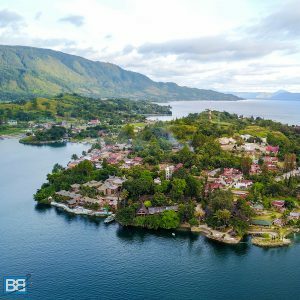 Once a hugely popular destination for Indonesians the popularity of Lake Toba is on the rise again and if you’re keen to stray from the beaches and get amongst the culture of Indonesia it’s a great place to add to your itinerary. The largest Lake in Indonesia and the largest volcanic lake on the planet boasts and island the size of Singapore which is a great base to relax. Discover more about the traditional Batak culture with a trip to the TB Silalahi museum in Balige and tour around local villages like TukTuk in Samosir Island where you’ll learn more about the local way of life, put your dancing skills to the test and even discover more about cannibal rituals of the area! If you’re looking for something really unique then Toraja in South Sulawesi is certainly worth a visit! With it’s unique building styles (something many guest houses and hotels also reflect) and cooler climate it’s the perfect place to explore if you want to escape the humidity and heat of Indonesia – especially in dry season. The cultural draw to Toraja though is the unique festivities and rituals around their funerals. The dead aren’t buried, but placed into elaborate cave systems – and there’s a yearly festival where they bring out the embalmed bodies, dust them off, change their clothes and have a huge celebration! Yup…it’s certainly an alternative and fascinating addition to your travel itinerary! 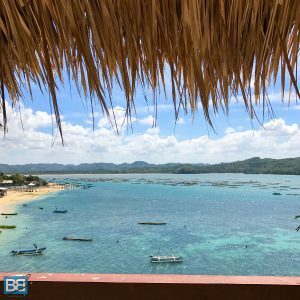 Fast becoming known as the “new Bali” Lombok is somewhere I’d check out pretty soon before it blows out of proportion (which unfortunately is inevitable! ), so get in quick before the hotels and complexes spiral out of control! And luckily at the moment it’s on a good balance – enough infrastructure to accommodate travels, including hostels, guesthouses and restaurants, but rugged enough to escape the tourist hordes! Getting there isn’t difficult either with the airport now offering international flights or internal flights from Bali and elsewhere in Indonesia which are pretty budget friendly. It’s also reachable by ferry, with a connection from Bali or from neighbouring island like Nusa Lembongan and Gili T.
Kuta Lombok (not to be confused with the chaotic, but incredibly cheap Kuta in Bali!) is the main hub for travellers here, with a wide range of accommodation and restaurants to choose from as well as tranquil and picturesque main beach. One of the biggest draws to Lombok is the hiking with the 3 day trek to the summit of Mount Rinjani being the highlight. For the surfers out there Lombok serves up some epic waves – with Gerupuk being a great place to head and grab a boat out to spots like Don Dons and Insides, a set of awesome reef breaks offering both left and right handers. In fact it’s one of the spots I checked out on my surf trip with Mojo Surf Bali. And then of course there’s the world famous Desert Point. Although it’s reserved for advanced surfers only (seriously it’s a heavy and unforgiving wave!) it’s a great spot to chill out for a few days and watch the pros go to work! For those who are looking to discover the local cultures and traditions this area is famed for it’s Batik textiles – an elaborate process which involves patterns etched on with wax in multiple stages to create some awesome designs! 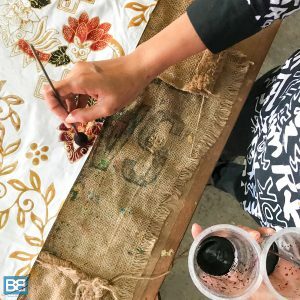 A single piece of Batik can take over 4 months to create and is all done by hand – so if you’re looking for a unique gift or boutique shirt this is the place to head. Make sure you take the opportunity to create your own piece too, it’ll certainly give you a deeper respect for how skilled it all is! And if you’re into your history Semarang has some incredible throwbacks to the Dutch colonisation here, with some amazing building and architecture to explore. 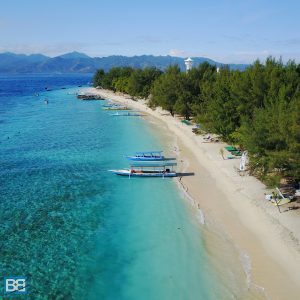 Ok so admittedly this is loosely grouped with Bali, but if you’re looking for a tropical island escape close to Bali then Gili Trawangan (or Gili T as it’s commonly known) is definitely one of the top places to visit in Indonesia. Just a few hours ferry ride from Bali (you can grab a return mini bus and ferry combo from most destinations in Bali for around 50,000IDR (roughly £40, $45USD, $50AUD) this tiny little island comes with a big personality! From epic beach parties and beach bars or the East Side through to incredible sunsets on the West side (including those awesomely Instagrammable ocean swings!) there’s something to keep you busy no matter what your style. But of course the thing Gili T is most famous for are the turtles – and you wont be disappointed! Venture just metres off the beach at high tide and you’ll easily bump into one of this chilled out dudes cruising around munching on coral and sea grass, go make sure you have your GoPro handy! Any other places to visit in Indonesia that you’d recommend? Chuck them in the comments! 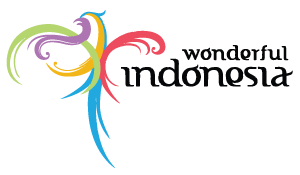 This post was written in collaboration with Wonderful Indonesia – but please rest assured that all opinions are honest and my own.